A crisp new year… have the country’s banks opened their wallets any wider for the purchase of small businesses in Canada? Don't bank on it! Instead, prospective buyers depend on the seller taking back a percentage—usually some 20 to 50 per cent—of the agreed-upon purchase price in the form of a loan. Seller-provided financing still funds 99 out of 100 purchases that go through our offices. Without it, the deals wouldn’t get done. Through this financing arrangement, known as vendor take back or a seller’s note, the buyer agrees to pay back the funds over time, with interest. The buyer realizes lower risk, better terms and a greater commitment of the seller to ensure his or her success. It’s a good option for the seller as well. Compared to current returns on most other investments, the five to six per cent interest sellers can get from lending funds to the buyer is attractive and reasonable, based on a secure investment. While a failed business has questionable value to a bank, a seller could run the business if they had to take it back and their business brokers could resell the business for more than the loan outstanding. To offset the risk, seller-provided financing usually translates to a higher purchase price. How else can a buyer fund the purchase of a business? Your bank may be willing to give you a home equity loan or a loan against other assets to cover part of the down payment. 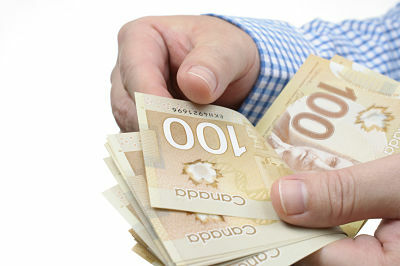 It may agree to process a Canada Small Business Loan (CSBL) but it will be limited to 75 to 90 per cent of the value of Furniture Fixtures and equipment with an upper limit of $350,000. If real estate is part of the transaction, the upper limit is $1 million and you must provide a Certified Appraisal of the assets. The catch—the loan must be for the purchase of assets, not shares. However, the tangible assets may represent a small part of the purchase price and the seller will likely end up paying more tax. Our brokerage network has 30 years of experience arranging financing for small- to medium-sized businesses and will help you understand your financing—and hence purchasing—options. We have connected with some banks that provide financing for the purchase of franchises, albeit a limited number of companies. In its funding evaluation, a financial institution will look at your financial capacity, your character and previous business experience and the viability of the business you want to purchase. Will you be successful? Have you secured at least 30% equity from the seller (a must except for submissions for professional practices)? How strong is your CV? Do you have ability to manage the business? What is your track record? How sound is your business plan? Does the business have a consistent track record of positive and strong cash flow? Does it demonstrate stability or growth? Does it have the capacity to do the debt servicing as well as provide an income for the buyer and eventually a return on capital? If you’re wanting to go into business, purchasing an existing operating business with trained employees, existing client and supplier relationships and a proven concept and location can be your “Advance to GO” card. 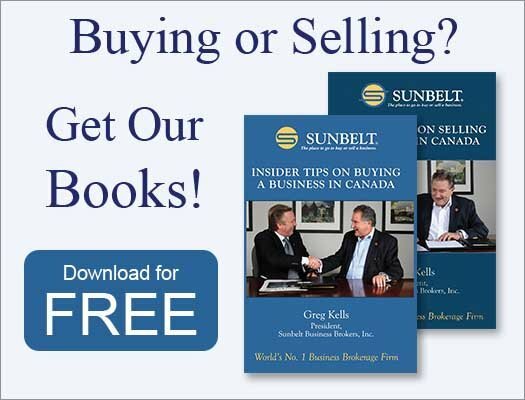 To learn more about all aspects of buying a business, get a free e-version of our book— Insider Tips on Buying a Business in Canada.